Our promotional tote bag sales extend to popular items such as die cut promotional bags, Atlas Nonwoven Grocery Promotional Tote Bag, and the 7 oz. 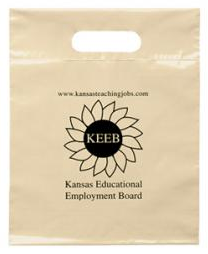 super promotional tote bag. 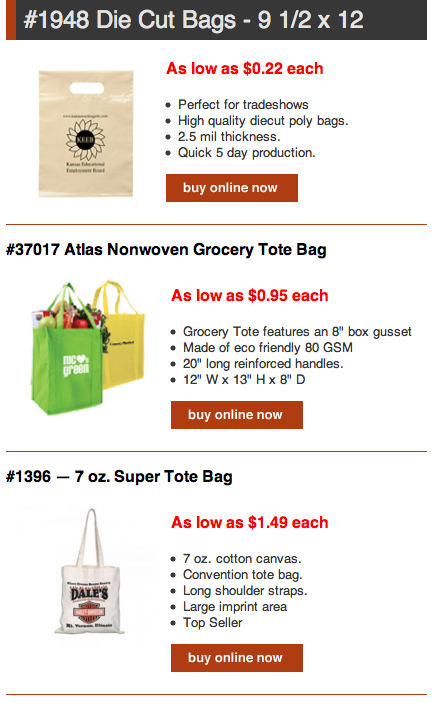 For any questions regarding our promotional tote bags, give the Superior Promos experts a call 1 (888) 577-6667. As you can tell by the thousands of products found in our store, there is no shortage of promo products that we can imprint your company logo on to reach your customers and create brand awareness and recognition. However, one of the aspects of a promotional product giveaway that is often overlooked is the actual “give away” or presentation of the product to the customer. At trade shows or conventions, people receive a lot of promotional items so the key is to make your packaging stand out so you’re not just handing out a pen or calendar wrapped in plastic. Using tote bags to store your promotional giveaways or even die cut bags will provide your giveaway with the unique delivery that most companies overlook. Some companies think even more outside the box by wrapping their items in gift wrapping paper or in brown paper and twine packaging. Just remember, your product should stand out and the SuperiorPromos.com art department will ensure that. But don’t overlook the way it’s presented either. If you have questions, don’t hesitate to contact our promotional products expert staff at 1 (888) 577-6667.